Results: In a surprising turn, carbon dioxide goes from quickly bonding with to jumping off the surface of the layered clay kaolinite when the pressure increases beyond a critical value, according to scientists at Pacific Northwest National Laboratory (PNNL). When the CO2 pressure is sufficient to raise its density to 0.40 grams per cubic centimeter, CO2 becomes more mobile and leaves, or desorbs, from the kaolinite surface. Below this pressure, CO2 readily interacts with the clay, as noted in other studies. Here, the challenge was determining why the CO2's behavior was so peculiar when its density reached this level. By bringing together experiments and computational simulations, the team discovered that it was more energetically favorable for CO2 to move into the liquid-like supercritical phase as opposed to being bonded as a film on the clay surface as the pressure increases. 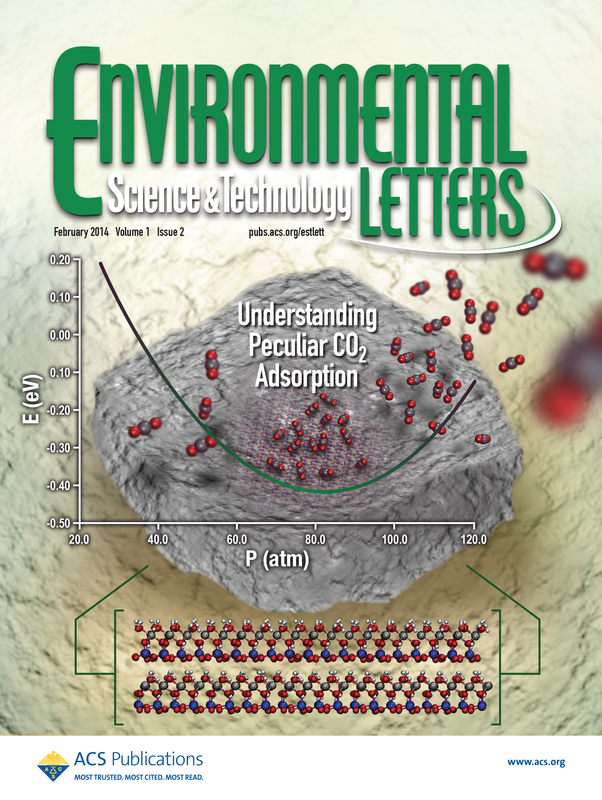 The research team's findings were published in the February issue of Environmental Science & Technology Letters and were highlighted on the journal cover. "This is a fundamental molecular-scale study," said Dr. Vassiliki-Alexandra Glezakou, a PNNL computational chemist on the study. "But, it provides vital information for reservoir engineers seeking to extract methane and permanently store CO2 in shales." Why It Matters: Carbon dioxide's behavior with clay minerals vitally impacts carbon sequestration, essentially trapping combustion-sourced pollution and then injecting it underground as a supercritical fluid, which is a gas that behaves like a liquid. PNNL is investigating methods where CO2 can be used to discharge natural gas or methane from fractured shale, providing more domestically sourced energy to heat homes and drive industry. The shale prefers CO2 to methane, so it releases the methane and bonds to the CO2. "Our results are key building blocks to eventually predicting the optimum conditions for storing carbon dioxide in depleted shale gas formations while extracting additional natural gas," said Todd Schaef, a PNNL geochemist on the study. "In the shale reservoir, we need to know the best conditions for carbon dioxide to attach to minerals like kaolinite. If you overpressurize, the carbon dioxide won't attach." Methods: The researchers began with kaolinite, an abundant clay mineral. In this study, kaolinite is a model mineral system, allowing the scientists to focus on specific properties. "Even though we are studying just one mineral, the findings can be transferrable as there are similarities between many minerals," said Glezakou. Kaolinite primarily absorbs CO2 on exposed surfaces. Scientists have long reported a linear adsorption dependence with pressure. Up to a certain point. Then, the adsorption reverses, regardless of increasing pressure. The team studied the interactions using a quartz crystal microbalance, which measured the amount of CO2 sorbed onto the mineral surface. When they could not quite distinguish the mechanisms involved, they simulated the interactions with density functional theory (DFT) calculations. The experiments and simulations were done using resources at the U.S. Department of Energy's (DOE) EMSL. "Without EMSL's computational resources, we could not have done these simulations," said Glezakou. "Carbon dioxide is a well-studied molecule that still has secrets," said Schaef. "We and many others have been working with carbon dioxide and various mineral systems for years; yet nobody had explained its odd adsorption behavior until we asked why." What's Next? More studies on CO2's behavior with different minerals, such as swelling clays, which are another component of the shale, are next. The scientists will determine if the behavior seen on kaolinite occurs on other materials. "We also need to begin the process of incorporating the findings from the molecular-scale simulations into our reservoir-scale simulation models so we can test new ideas for injecting CO2 to enhance methane recovery from depleted shale gas formations," said Dr. Pete McGrail, a PNNL Laboratory Fellow who also participated in the study.